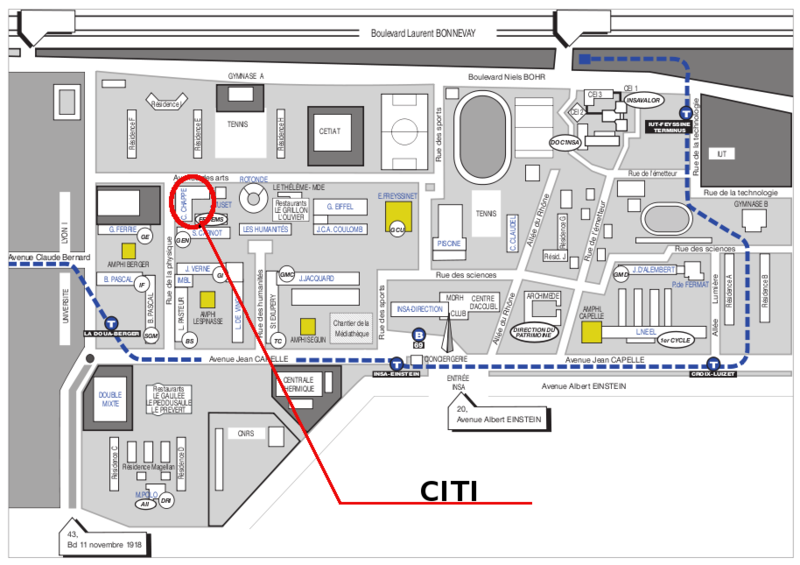 Cybernets is hosted by the CITI Lab in the campus of the INSA de Lyon. Take the Rhone Express airport shuttle for downtown Lyon (Centre de Lyon / Lyon Part-Dieu train station) which runs every 20 mins. Take the Tramway (T1) direction IUT Feyssine and get off at La Doua Gaston Berger station. Take the metro (Line A) direction Laurent BONNEVAY and get off at Charpennes station, then take the Tramway (T1) direction IUT Feyssine get off at La Doua Gaston Berger station.